This is the same steampunk Boba we saw at the Star Wars Celebration. (I really should have gotten his name; nice guy.) 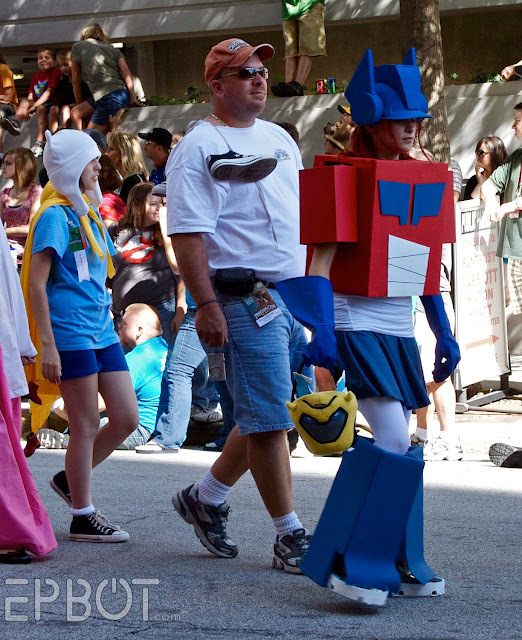 He and his group also made what I think were the best costumes at the entire con. Stay tuned for pics of those. 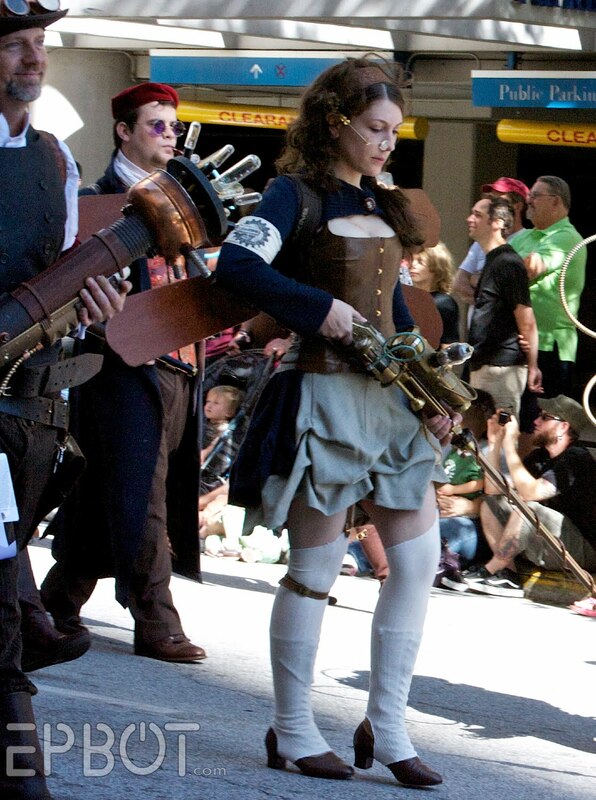 If I'm posting a lot of cute steamer girls, it's only because I'm collecting ideas for my own costume. And because they're really cute. 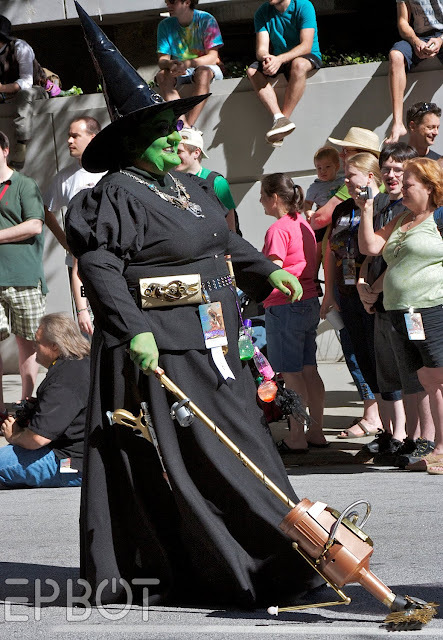 A somewhat steampunked Wicked Witch. 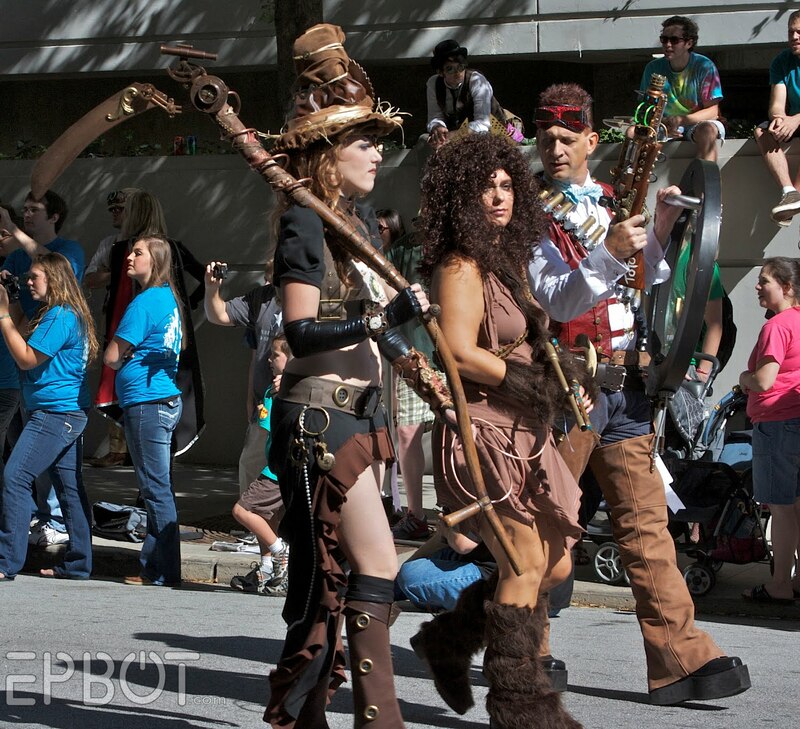 And a very steampunked Scarecrow, Lion, and...uh...guest? The guy's gun says "Toto." Heh. Watching the big baddies stop and wave at the little kids in front of us never got old. 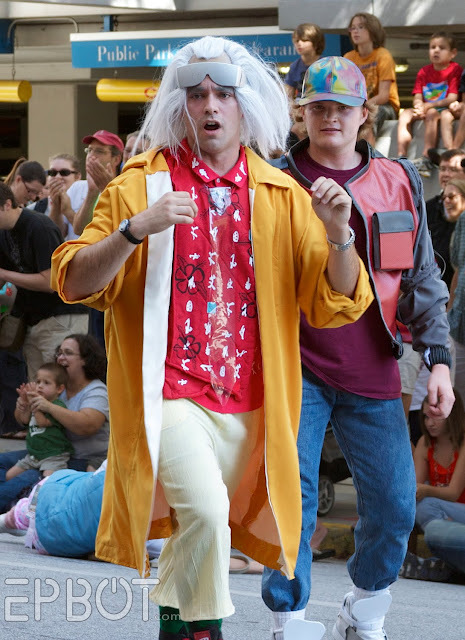 These two were fun: "Doc" kept zooming from one side of the street to the other, checking his watch and yelling things, while "Marty" chased after him. And that's it for the parade! Next up: more con costumes, hopefully in somewhat better lighting, and a few bits on my fangirl run-ins with Odo and Doktor A. I'll also tell you about the Worst Panel Ever, the Best Dragon*Con Employee Ever, and what it's like taking your parents to D*C. [grin] I'll also have a post just on steampunk fashion and gadgetry, which should be pretty sweet. SO...stay tuned while I continue to run myself ragged, k? 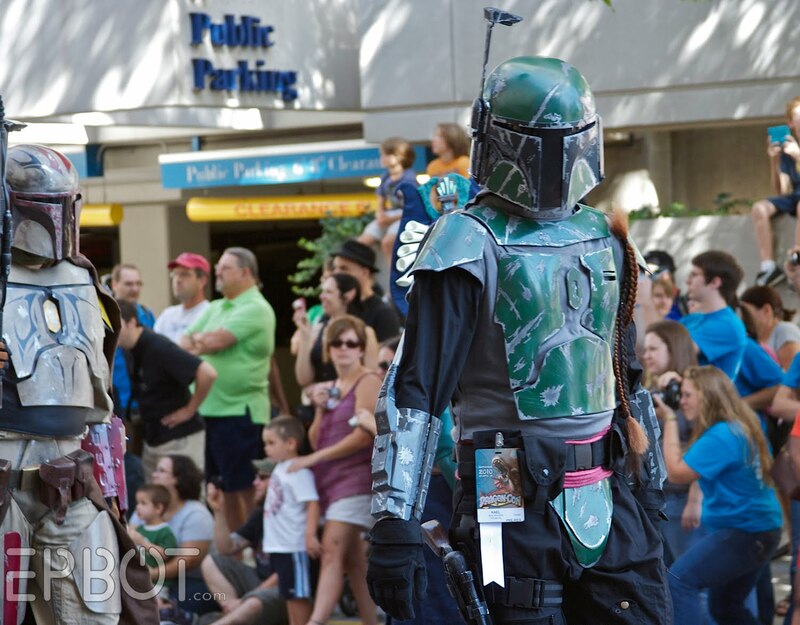 Run along and soak up all that awesome geekiness for us Jen!! YAY! Seriously, these were awesome! I now feel inspired to get some really good costumes together when I get back from working overseas. I might be 30, but I'll never to to old! The Delorean belongs to one Buddy, who is a member of the Atlanta hackerspace freesideatlanta.org. If you have any questions about it, I can pass them along to Buddy. Here are some more pictures of the car, out in front of the hackerspace building. Buddy is wearing the orange shirt. 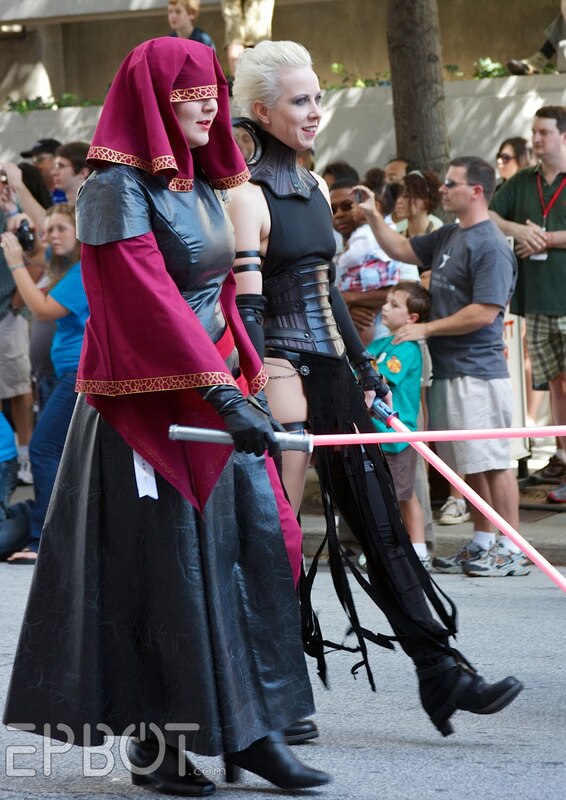 Also at Dragoncon was a guy in a jedi costume that he whipped up Friday night. 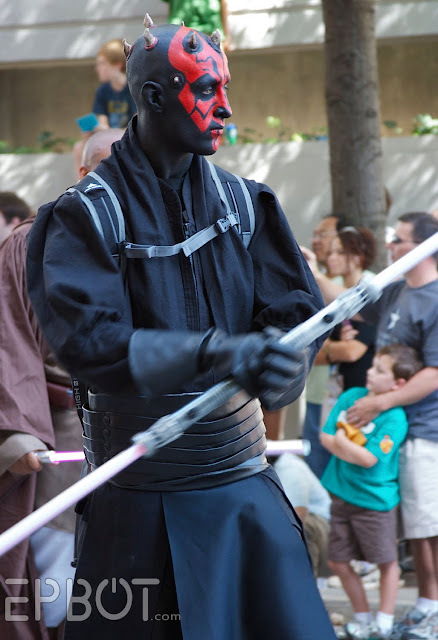 he was carrying a lightsaber that I whipped up in a few hours at the hackerspace as well on Friday. I was up in Madison, so I missed running in to you at Dragoncon. I'd been meaning to comment for a while and see if you have found any hackerspaces in your area, as you can find a lot of interesting tools and knowledge that might help some of your crafty projects. I might not have gotten to go, but I get to experience it vicariously through you! You rock! Thank you for posting all these wonderful photos. I think my favorite costumes were the steampunk ghostbusters. Too cool. One of these years I'll get back to D*C. Until then I shall enjoy your posts (which I would enjoy anyway-they're always fun). 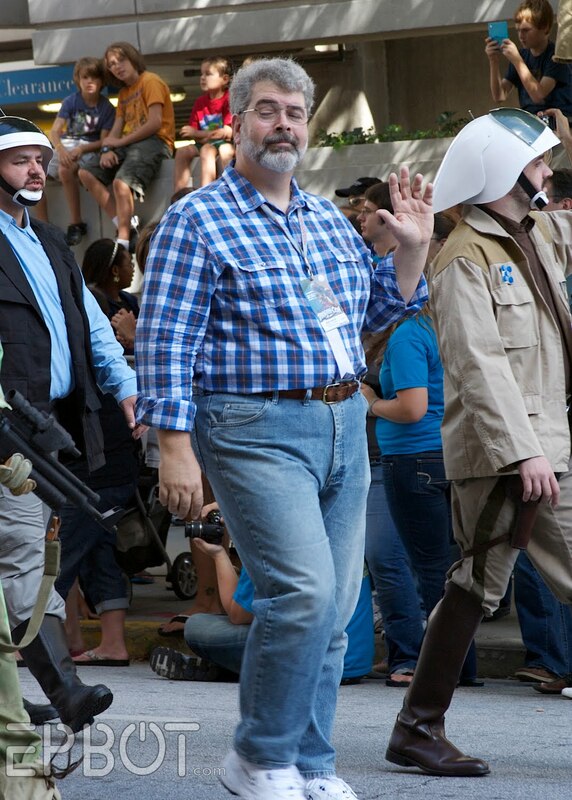 OK, I admit it--the guy "dressed up" like George Lucas is my speed. Love to see the costumes, but I'm not much for dressing up in them myself. Or making them. There are lots of mixed reports coming out of the Con this year. Supposedly there was a sexual assault in an elevator, bar fights, someone taking a flying leap off a 2nd floor bar in the Marriott.... It's enough that my group is wondering if we should go next year. 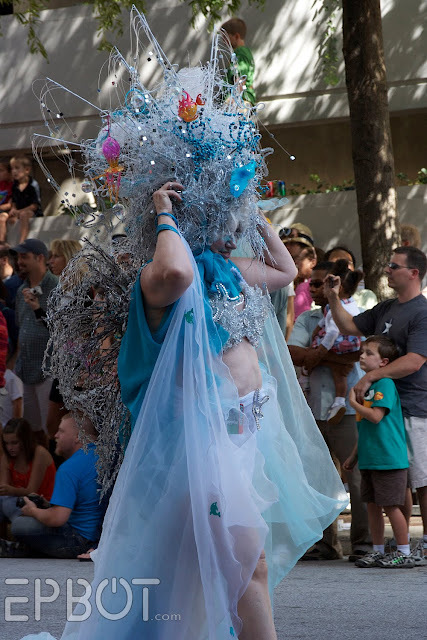 Could you talk a little bit about the 'feel' or 'vibe' of the Con? Was it overrun by mudanes? *DYING* Living in the back of beyond, we never get this stuff! I love your pics! Next best thing to being there! great pictures, love the costumes, but makes me so sad we couldn't go this year. As fara as Boba's name, it's at the end of the 'i'm on a blimp' video, which you can get to from The Extraodinary Contraptions site. 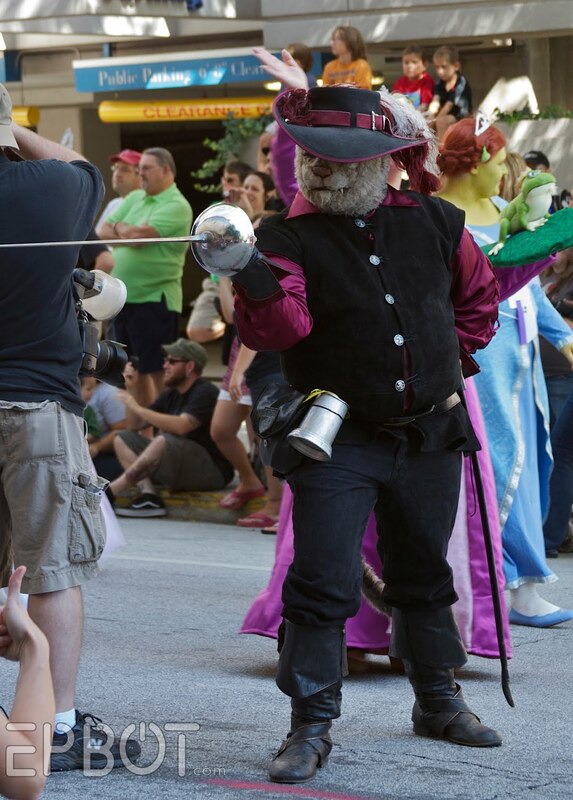 As a CW reader I've been wondering for awhile what all the huh-bub was about this "Dragon*con" and am now in twisty fits of joy. Ultimate Nerdom...I've never seen anything so perfect. Fits, I tell you, FITS!! 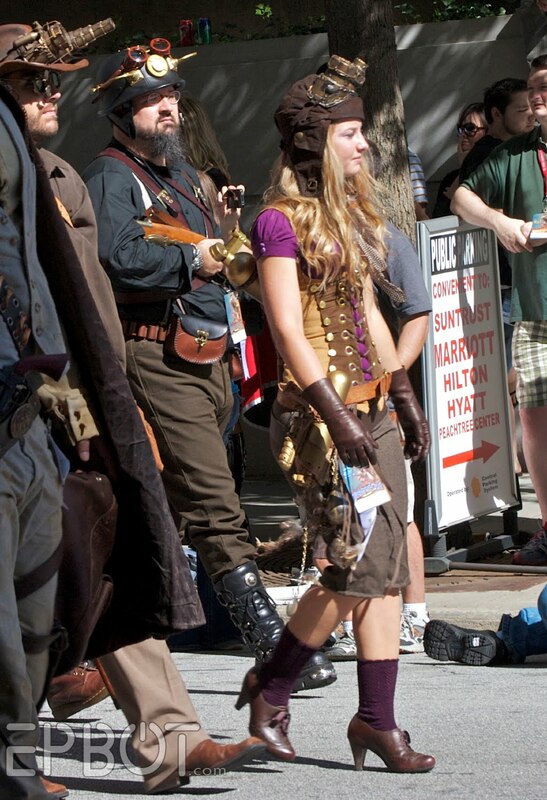 out of curiousity did you watch the firefly fan film,browncoats redemption? 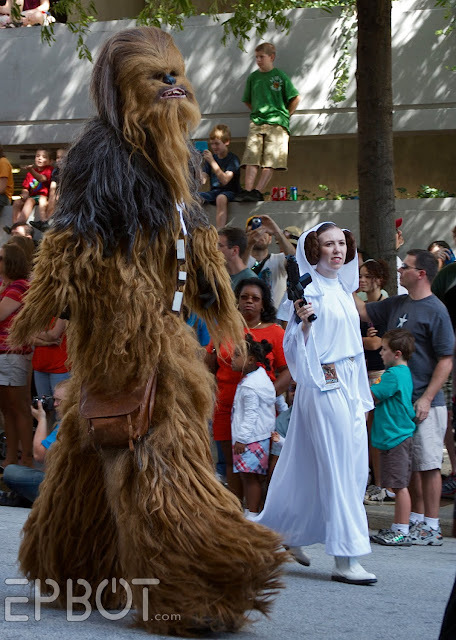 at dragon con? OMG. Jayne's hat! Freaking genius! WOW, I came here from CakeWrecks and will definitely be back!!!! 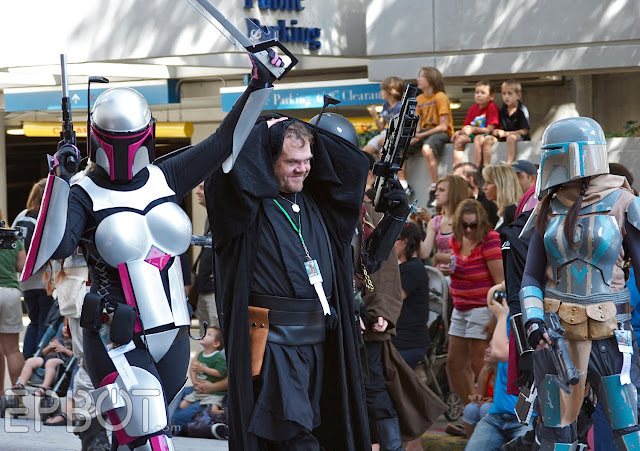 This is just like being there at Dragon Con -- we went the year Serenity came out and I was UTTERLY AMAZED and delighted by all that we saw. 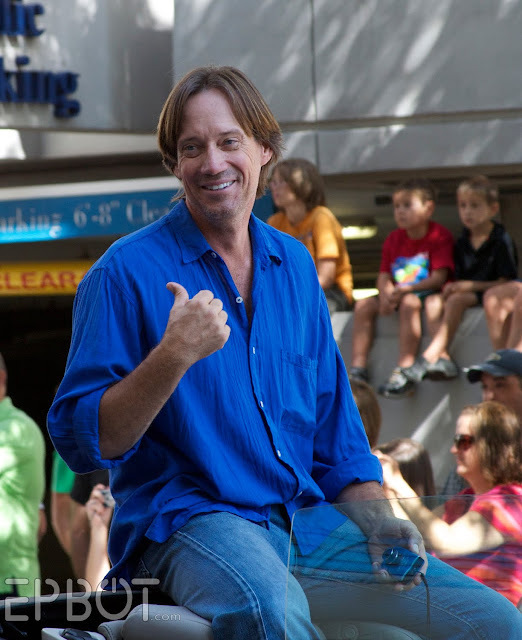 I had gone along as a babysitter and had a GREAT TIME. Thanks for allowing me to go back vicariously and experience D^C again!! Thanks for all the pictures! I must say, Aurora was perfect! That George Lucas look-alike (I assume) had me doing double-takes - even triple takes! Wow! Oh, I could kick myself for not going to this. I wanted to take my two little boys, they are 4 & 5, but wasn't sure if they'd enjoy it. Now that I see your pics I KNOW they would have. We live in Atlanta, so we'll be there next year. The Monarch!!! And his henchmen!!! EEEEEEEEEEEEE!!!!!! The Jayne Cobb hat costume might be the single greatest thing I've ever seen. I am currently a senior at college, majoring in Theatre Design and Environmental Science. For my Theatre Design thesis, I get to design the costumes for my college's production of Three Penny Opera in the spring. The director wanted the show to be contemporary, using found things and by tying in aspects of Victorian England. 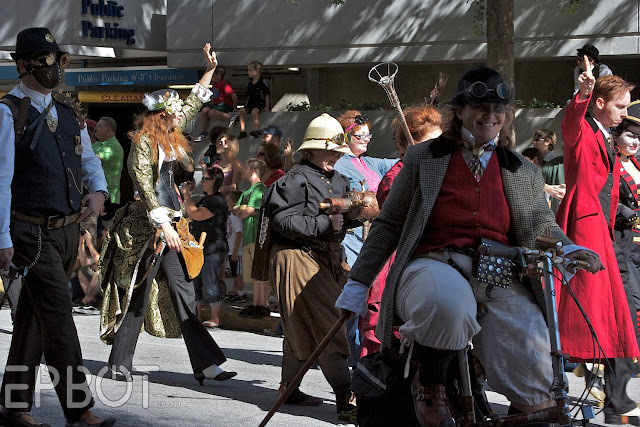 Now the reason I am telling you all of this is that I was mulling over her concepts while perusing EPBOT and it gave me the epiphany of doing the show in steampunk fashion. After I told my director the idea, she was wholeheartedly on board. I now get to design pretty much my fantasy show. 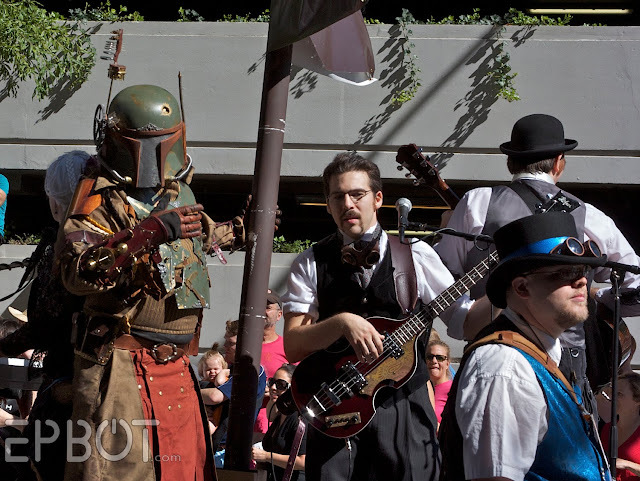 I know I'm losing Firefly fan street cred to admit this, but I don't recognize that costume at all! Can someone help me?! Karmen, we talked to the guys organizing it, but no, we didn't get to see the Firefly fan film. Hopefully it'll pop up online soon! 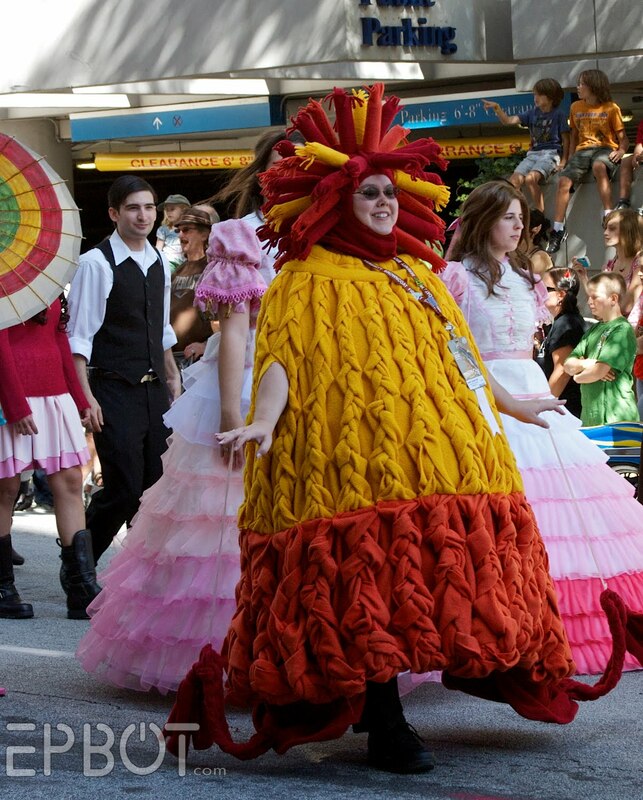 @MissRon - There was a world record smashing attempt (which I believe they did)for the most Star Trek costumes! @Naomi.de.Plume - The vibe seemed pretty tame to me. 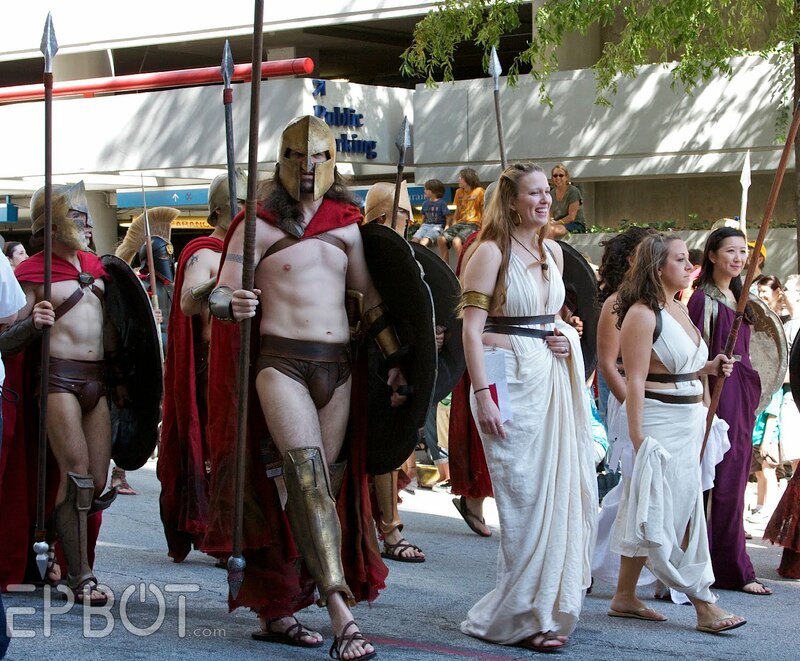 There were quite a few scantily clad women (some more scantily than others) but I didn't hear of anything amiss! Jen, I was wondering where all the Spartans were! I'm so sad that I missed the parade now! 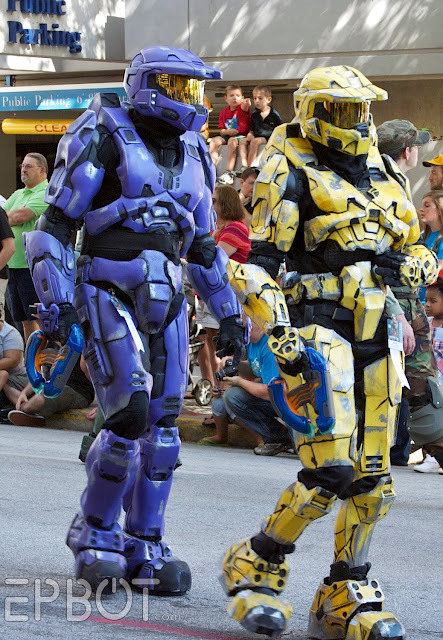 My husband and I are already brainstorming our costumes for next year! 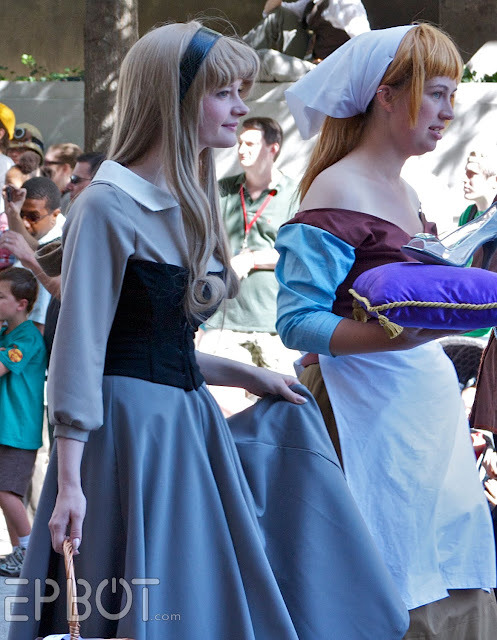 Ohhhh maan, you managed to possibly take the worst picture of me as Cinderella, but then my friend looks amazing as Briar Rose. XD All the other photos I looove! Thanks for posting, it's great to see what I missed! I am not familiar with dragon con, so it it was exciting to look at your pics. 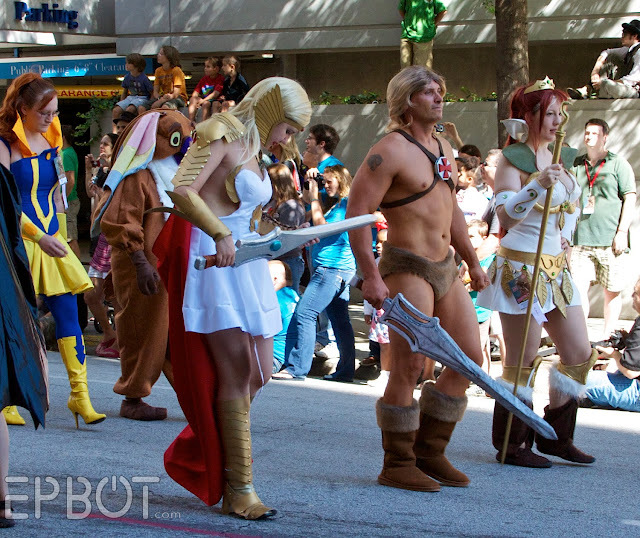 It was strange to see a real life he man and she ra photo. I was able to identify Kowl ( sp?) behind them. A sa new fan of star trek, were there any star trek costumes? I love the hat! 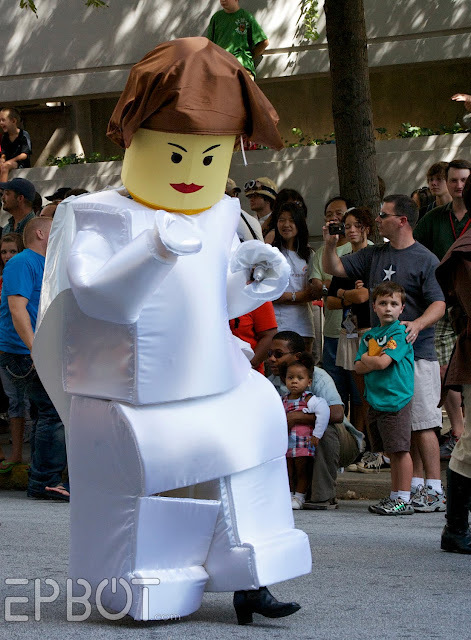 And the Lego Leia. Great pics Jen-I can't wait to see the next few posts. hehehe..I like the expression on the "captured" Jedi. I have a feeling that he didn't put up much of a fight. I just can't get over the AAGPBL costumes. 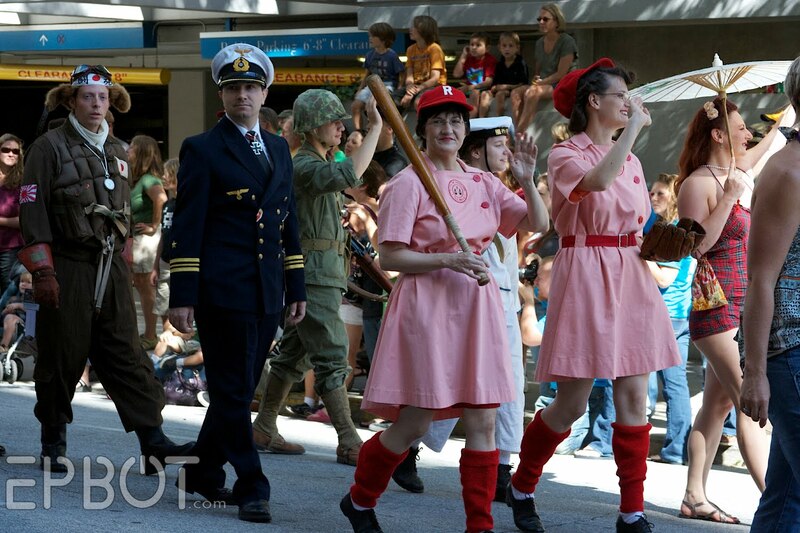 "A League Of Their Own" is one of my favorite movies, so to see their uniforms in the parade was so cool! Oh man are these ever cool! 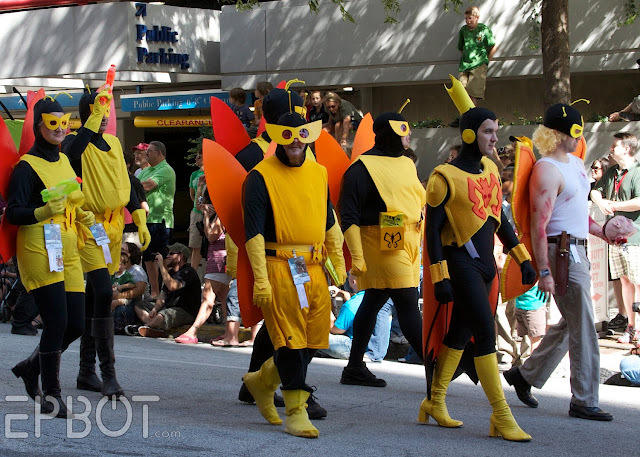 The Rockford Peaches and Monarch and Henchmen pics made my day. 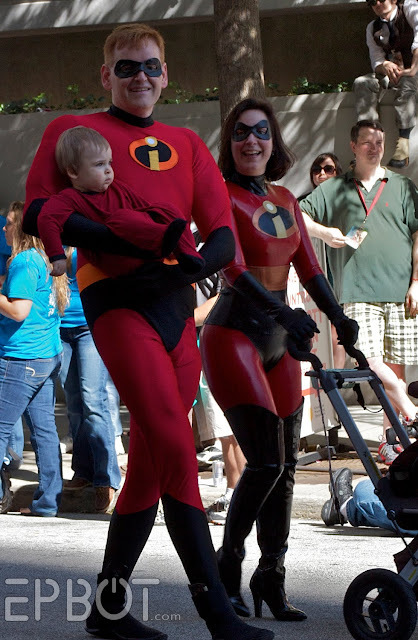 about the incredibles and the costume differences between mom and dad. since they already have one kid it's possible that he wants to make more. 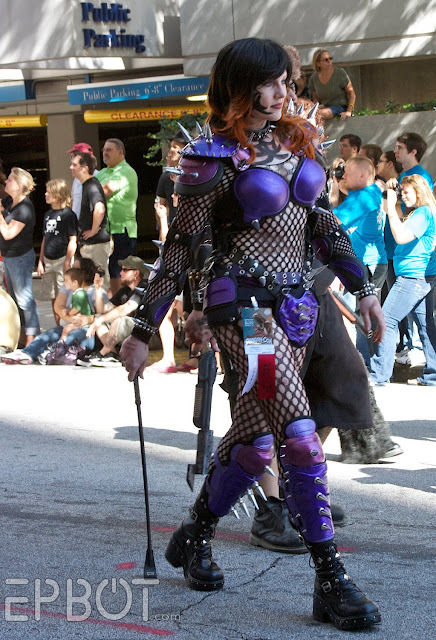 a vinyl outfit might be a kind of pvc vasectomy of sorts. women don't have that problem with temperature affecting the bum factory. Thanks for posting so many pictures!!! 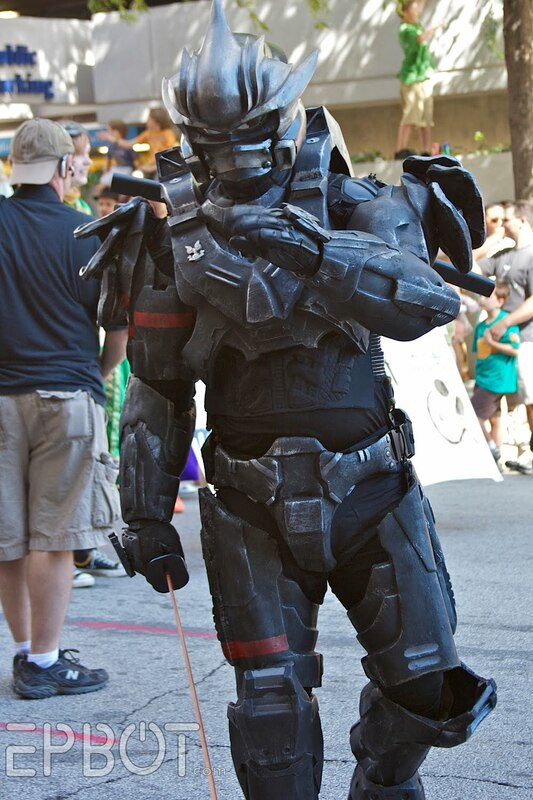 Man, I wish I had more money and time to dress up and attend more conventions. The only thing I have time for now is zombies. 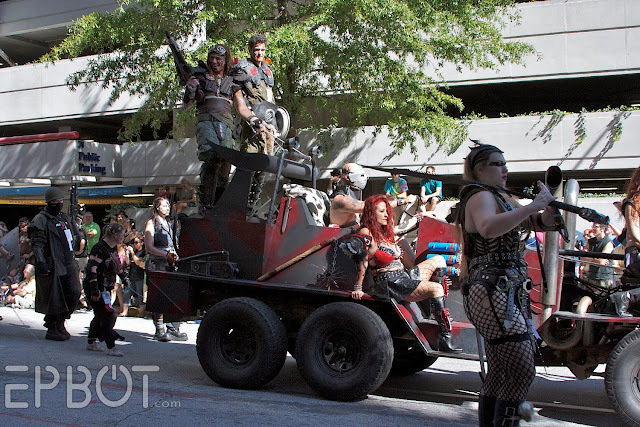 The Mad Max peeps totally reminded me of an AWFUL look-a-like film, well at least part of it looked like Mad Max. The film is Doomsday and attempts to combine 28 Days Later, Mad Max, Braveheart and Gladiator into one film with a hot female lead... not so great. Bless you for being you and for having a blog. I love it! I've been following Cake Wrecks for about 2 years now and Epbot since it started and now, finally, I've plucked up the nerve to write a comment! Anyway, inspired by Dragon Con, I wanted to ask you if you know Valérian, a french graphic novel collection with gorgeous artwork? If you don't, go check it out. And that's me signing off all the way from Portugal! @ Jelliorum - I hadn't heard of it 'til now: I'll definitely check it out! Now, about She-ra. When I was but a wee lass, I loved He-man and She-ra as much as the next 80's kid. Perhaps more. We would of course play He-man/She-ra. We (other kids in the hood) decided we were gong to jump off the top of the 6' wood fence and strike heroic Castle Greyskull poses on the way down. I thought I would top that. I was going to strike the pose and yell, "For the Honor of Greyskull! I... AM... SHE-RA!" and then do a front flip off the fence, land perfectly, and be carried off as the neighborhood's most awesome kid ever. The first part went alright, but I only got halfway through the flip before my back met the hard grassy ground. Good times. I would also like to point out that I am an equal opportunity geek. 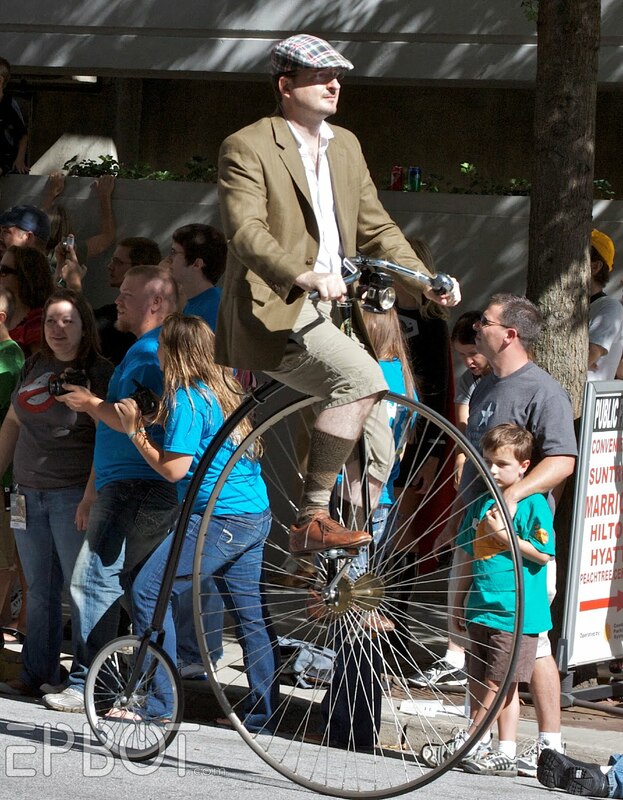 I love any pictures you care to share, regardless of the nerdy genera. ah! i was at d*c a few years ago, sitting in a firefly/serenity panel, and jayne's hat literally tripped over me! 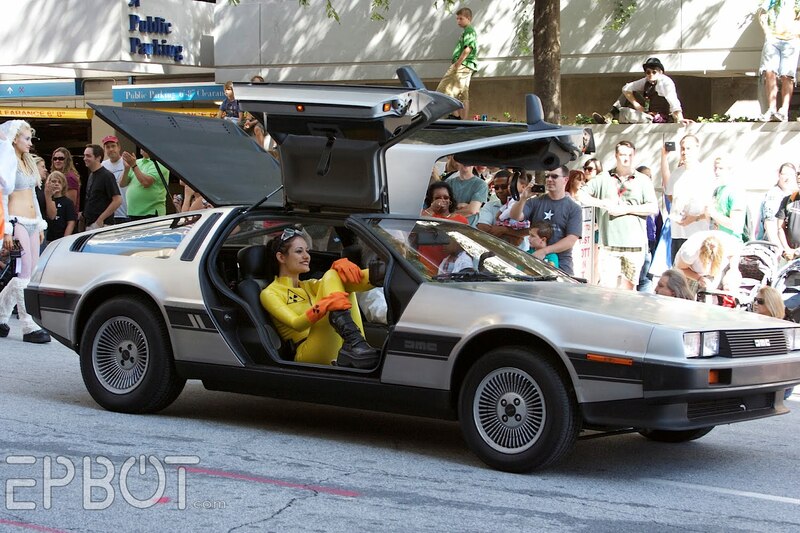 I have actually ridden in the Delorean, the guy that owns it is a friend of mine I am so glad you a got a pic of it. We were to tired to get up and walk down to the street. Thank you Jen you rock!! 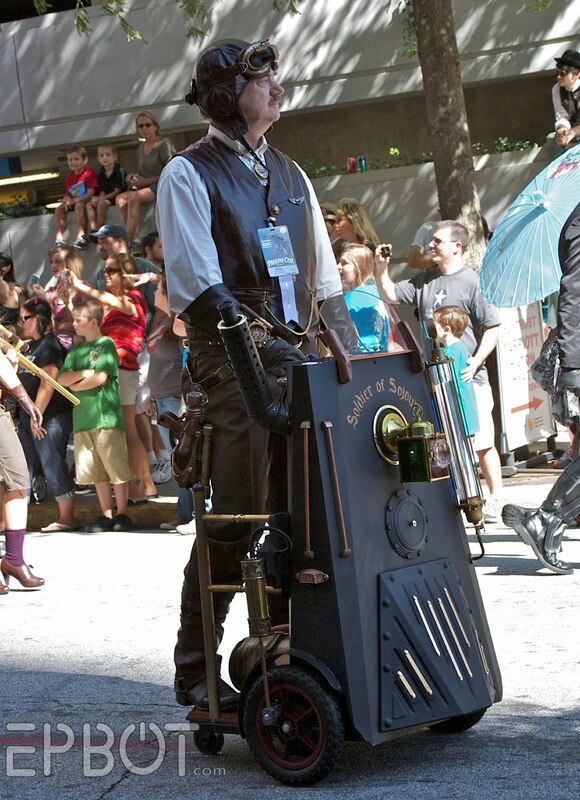 And the steampunked Segway is way too wonderful. I am hoping to see it soon. Amazing cosplay !!! 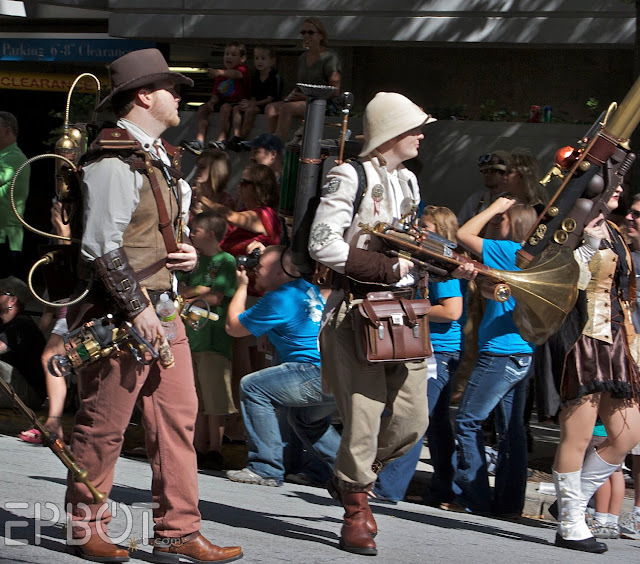 Love Steampunk ! !